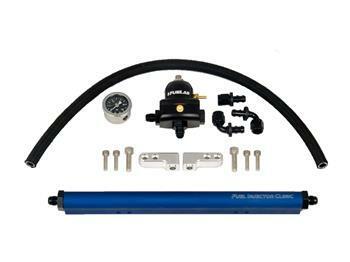 Fuel Injector Clinic Fuel Systems are designed to provide you with every component you will need for a perfect fuel solution. 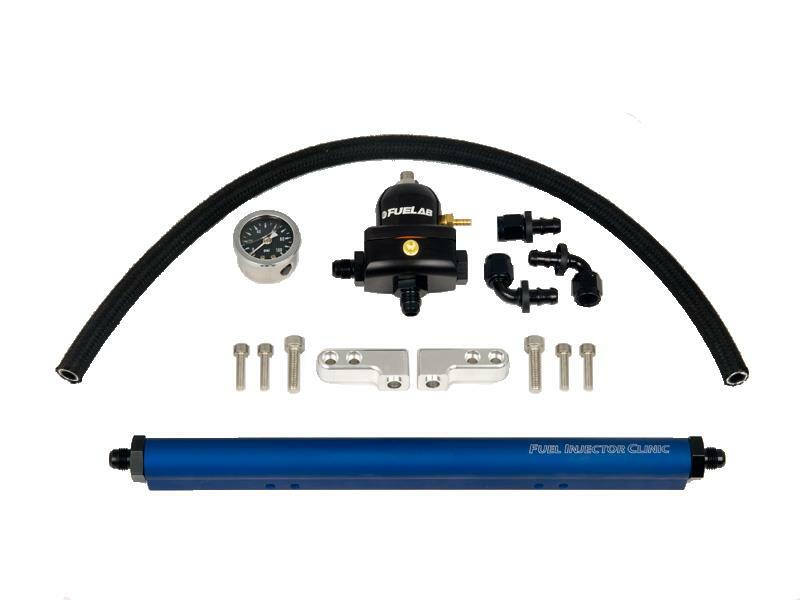 Every kit starts with the Fuel Injector Clinic Fuel Rail and adds complimentary parts for your specific application. In many cases (but not all), this includes; Fuel Pressure Regulator, Fuel Pressure Gauge, AN Fittings, Hoses and Mounting Hardware.